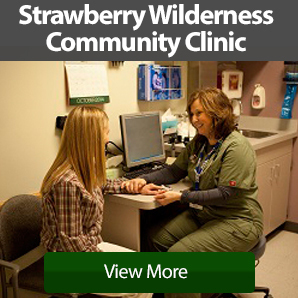 Strawberry Wilderness Community Clinic provides a full range of medical services to Grant County. The clinic is situated on the second floor of Blue Mountain Hospital. Medical Care: Our practitioners provide a full range of care for the entire family, from obstetrics to geriatrics and everything in-between. We take a patient- and family-centered focus. Our staff strives to build relationships with each of our patients, dedicating the time needed to serve your health and wellness needs. We have access to specialists and top-of-the-line equipment so you're getting great care close to home. Urgent Care and Extended Hours: The clinic maintains open schedule slots during business hours to attend to your urgent needs without an advance appointment. We know life can throw the unexpected at you, and we're available to help you immediately for those medical emergencies not requiring emergency room treatment. Call the clinic to find the urgent care slot that suits your needs. **NEW EXTENDED HOURS with a provider available some days as early as 7 a.m. or up to 6 p.m.
Preventive Care: We help you take steps to keep healthy with full-service preventive care medicine. Count on us for well child visits, annual exams, vaccinations, Medicare Wellness visits and referrals for mammograms and colonoscopies. Rural Care: The clinic provides outreach service in the communities of Long Creek and Monument. Call the clinic to schedule an appointment in these areas. To Become a Patient: Contact the clinic at (541) 575-0404 to arrange an appointment with one of our providers. Meet Our Providers: Click Staff to learn more about our dedicated providers as well as other specialists who can serve you at home in Grant County. Financial: Services are covered by Medicare, Medicaid, private insurance. Privately-paid service can also be arranged. A Word About Privacy: Every person on the staff at the clinic follows all state and federal regulations to guarantee the absolute confidentiality of your medical information and services. Although we operate in a small community, you can rest assured that your care is YOUR care and we keep it that way. If you have concerns, please let us know. 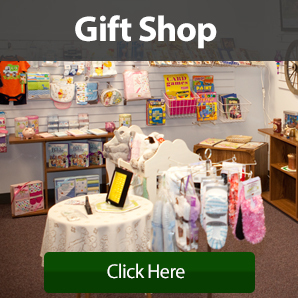 To make an appointment, call (541) 575-0404. Medical Questions After Clinic Hours? SWCC provides an easy way to obtain medical information and advice when the clinic is closed. We work with a company called "After Hours Nursing Triage," which provides patients with medical advice from an off-site Registered Nurse. On the next clinic day after you have contacted this service, the SWCC Registered Nurse will review your concerns. Your Medical Provider will then be notified, if indicated. We provide this service for your convenience and peace of mind. We at Strawberry Wilderness Community Clinic are committed to providing you with the best quality healthcare available. Recently, as part of our Patient Centered Primary Care Home (PCPCH) work to improve health outcomes and overall patient care, we conducted a series of patient satisfaction surveys in December 2016. The intent of these surveys was to gather patient feedback from our community to understand and improve upon access to in-person care, communication, clinical follow-up and overall clinical experience. o For care you need right away, how often did you get an appointment as soon as you needed? o For check-up or routine care, how often did you get an appointment as soon as you needed? o When you phoned the provider's office during regular office hours, how often did you get an answer to your medical question that same day? Next Steps: Our clinic providers and staff have reviewed the results and we are working to develop improvement strategies to better serve our community. One of our major target areas has been improving patient access to in-person services. QI project #1-Fast Track System: Based on the results from this survey and YOUR patient feedback, our Quality Improvement team has developed a "Fast Track" system to increase access for patients with specific health issues that require immediate/same day appointments. QI project #2-Expanded Clinic Hours: We are also piloting expanded clinic hours, initially for one provider, Nora Healey, NP, who offers both early morning and late afternoon appointments slots throughout the week.